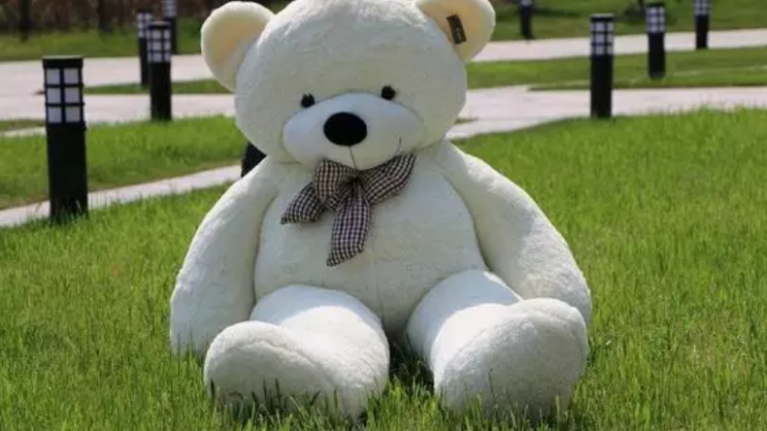 Would you like this bear? Of course you would. 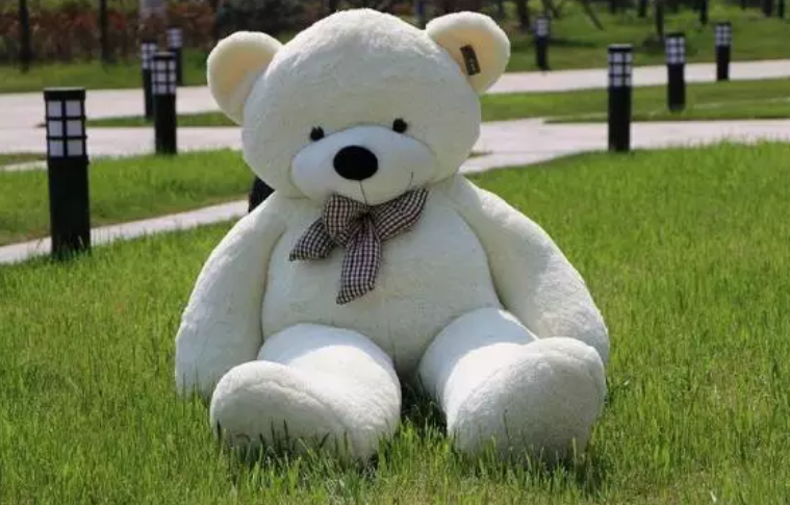 It's big, it's cuddly, it only costs $109.99. Well, as it turns out, there is one thing that's been making people question the adorableness of the giant bear... and that's his equally giant legs. These legs aren't just giant though. They are absolutely not in proportion to the rest of the bear's body and, therefore, terrifying. At least, that's according to some of the reviews left beneath the product on Amazon. This does not appear to be as advertised. "Legs are awful," wrote one person in their review. 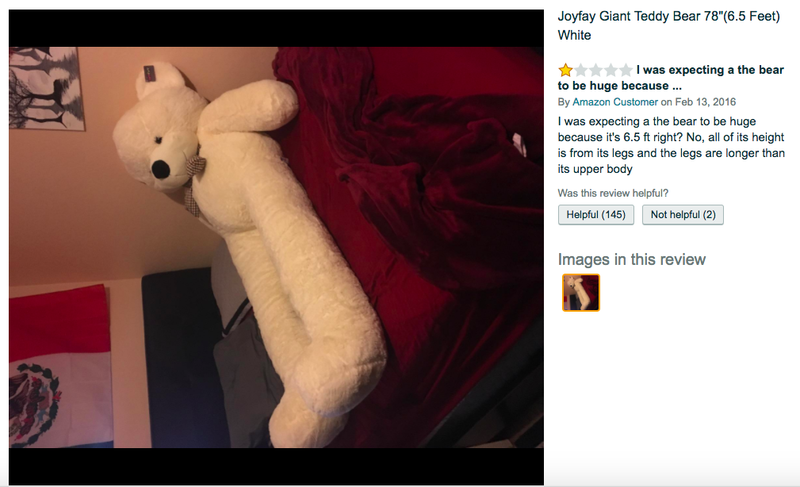 "I was expecting the bear to be huge because it's 6.5 ft right? No, all of its height is from its legs and the legs are longer than its upper body," complained another. That being said though, the very long bear also has some amount of excellent reviews beneath it too. "Granddaughter loves this bear," wrote one user. 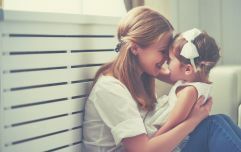 "Happy wife, happy life," wrote another. So there you go. 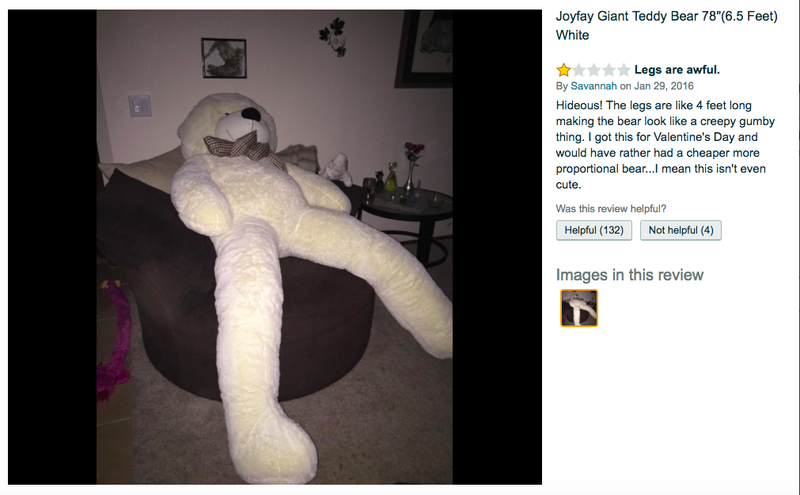 As long as your wife doesn't mind excessively long legs, this bear is an absolute winner. Just a shame it doesn't ship to Ireland.